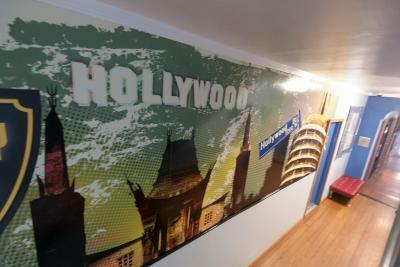 Lock in a great price for USA Hostels Hollywood – rated 8.6 by recent guests! Amazing place where to stay, beautiful propriety, rooms bathrooms and everything is super clean. The stuff is very nice. 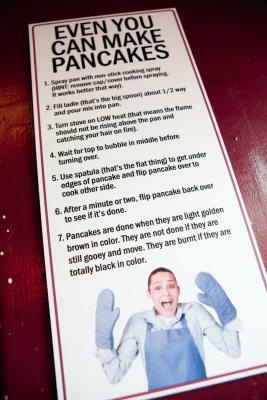 I would recommend this place. 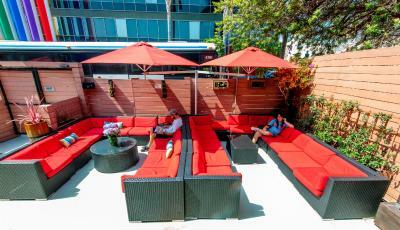 Comfortable, good location (if you like Hollywood, which is not my case), nice hangout/social outdoor area, good breakfast facilities (including waffles! :), reasonable price. Super friendly stuff. Wonderful areas (specially in the front) to hang out and meet new people. Tuesday is margarita night! The location was really good. it's easy to find on google map and feels safety compared with other town. you can easily find a bus stop to LAX it just takes 7 min from this hostel. Breakfast - pretty good, with a variety of fruits, bread, juice, coffee, and you could even make your own pancakes! Room and toilet - the bed was not very big, but adequate; the steps to go up to the bunk beds are quite narrow; individual lights on each bed; a small metal division made it more private; good locker size (bring your own lock); toilet was clean; shower with a good flow of water. Hostel - clean overall, comfortable outside area and lounge. I love the privacy you have with the bed and the charger ports. Breakfast is good. The location is great. Shuttles to the beach and activities. It will has housekeeping everyday! The pancake mix is so street which they have a Mickey mouce waffle making machine around there. In general the facility is good. 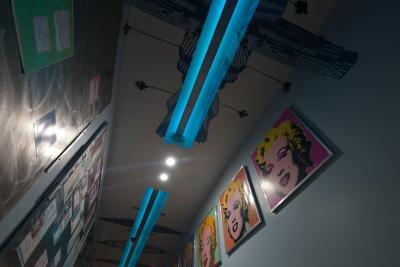 Excellent location in Hollywood, walking distance to many coffee shops, bars, and the walk of fame. Hostel staff were very nice and flexible to adjust my reservation. Nice common areas to meet other travelers. Rooms and toilets were very clean and towels were provided for free. 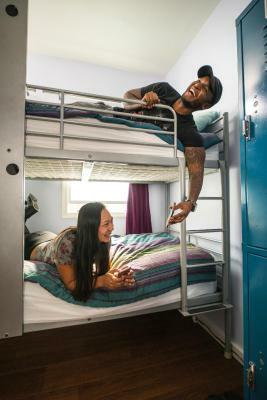 USA Hostels Hollywood This rating is a reflection of how the property compares to the industry standard when it comes to price, facilities and services available. It's based on a self-evaluation by the property. Use this rating to help choose your stay! Umbrellas and plush lounge seating surround the outdoor lounge at USA Hostels Hollywood. Free WiFi and free breakfast are provided. 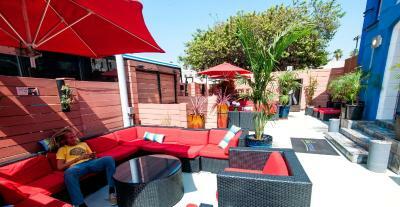 Guests are offered a shuttle service to Venice and Santa Monica beaches. Hollywood Walk of Fame is 5 minutes' walk away. 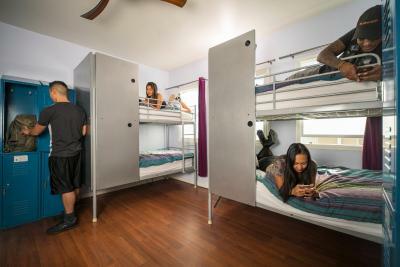 USA Hostels offers shared 6 and 8 person dorm rooms for women and mixed gender guests. 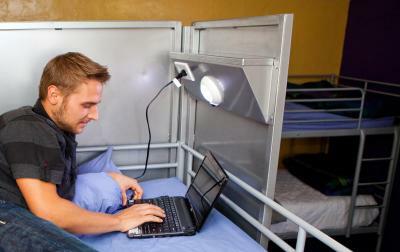 All dorm rooms include bathrooms and each bed includes a shelf, a light and outlets. Free lockers are available in each room and all linens are provided. 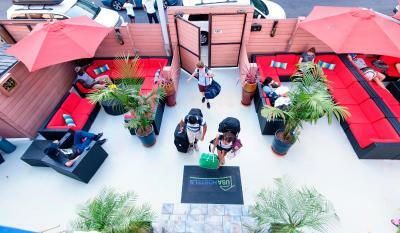 A 24-hour reception greets guests of USA Hostels Hollywood. 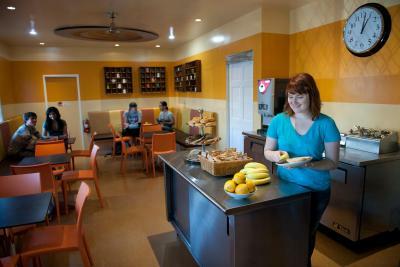 Other facilities at this hostel include a fully stocked kitchen, a tour desk and free luggage storage. 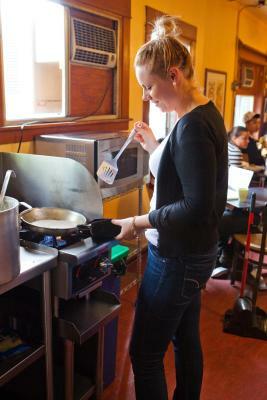 The hostel also offers daily activities for its guests to do together. 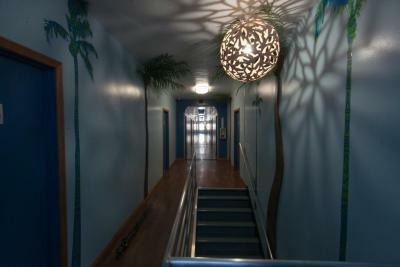 Egyptian Theater and TCL Chinese Theater are within 5 minutes’ walk away from this hostel. Universal Studios is 3 miles away. Los Angeles International Airport is 25 miles away. 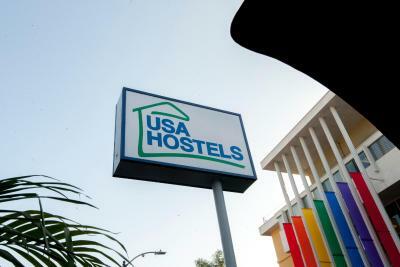 When would you like to stay at USA Hostels Hollywood? 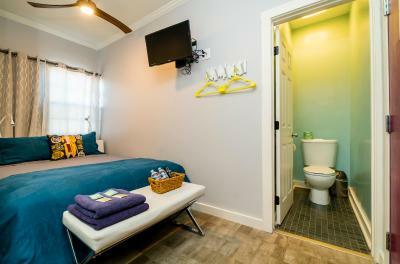 Featuring central air conditioning, this female dorm room has a private bathroom and each bed features privacy screening with a shelf, light and outlet. Individual lockers are available per guest for added security. Bed linen and a towel are also provided. Featuring central air conditioning, this coed dorm room has a private bathroom and each bed features privacy screening with a shelf, light and outlet. Individual lockers are available per guest for added security. Bed linen and a towel are also provided. 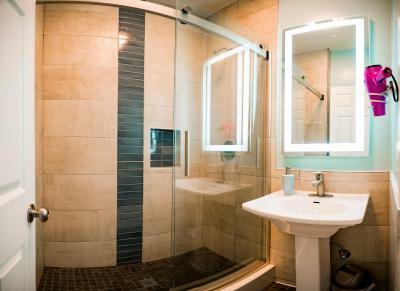 This air-conditioned room has a double bed, a cable TV, a MP3 player and an private bathroom. 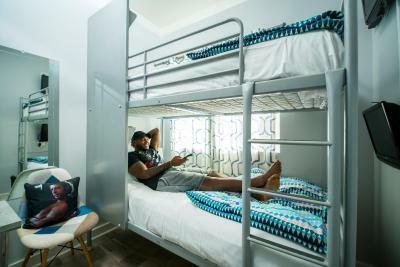 This bunk bed private room features central air conditioning, cable TV, and an private bathroom with walk in shower. 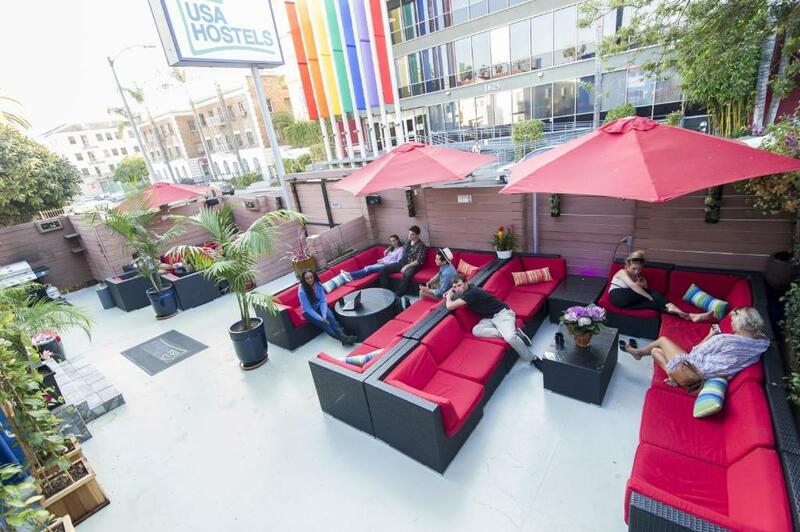 House Rules USA Hostels Hollywood takes special requests – add in the next step! USA Hostels Hollywood accepts these cards and reserves the right to temporarily hold an amount prior to arrival. Please note: Bookings from Los Angeles County residents will not be accepted. At check-in, all international guests must present a valid passport. US residents must present valid government issued identification (driver’s license, state ID card or passport). Please note: Guests under the age of 18 can only check in with a parent or official guardian. 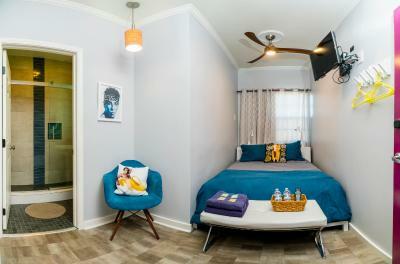 Guests under 16 are permitted only in private rooms unless an entire dorm is rented. Parents with children under 16 must contact the hostel prior to booking. Please note: There is a maximum 14 day stay policy at this hostel. Please note: Reservations are limited to 10 people. Reservations for more than 10 guests are by request only and may not be accepted. Multiple reservations of 10 for the same group will not be accepted and 1 guest cannot make multiple reservations for multiple rooms. Please note: If guest needs to make the payment by credit card, the accommodations charge a credit card fee. Please contact accommodations for details. The kitchen sometimes got a little crowded during breakfast time. Great and helpful staff, dorms and bathrooms were good, excellent location! 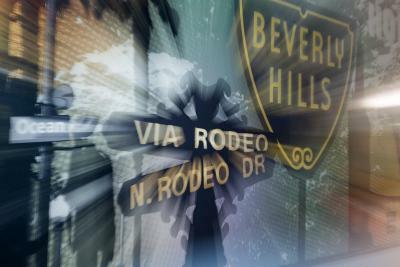 Beverly Hills tour was awesome and fun too! The staff are attentive and helpful. In-room lockers won't really lock unless you use a very specific padlock, which is a annoying. It might also make you think your things are secure when they're actually not. Next to the hostel is a postal service company, they start early (about 06:00) with their work. It's quite noisy (of course it's Hollywood) and facility is a bit old. I've arrived there after 9pm but a light on my bed was out of service. The dorm room was great with lots of details that made it so - like the privacy screens around the bed, the power outlets and USB ports at the bed and individual lights. 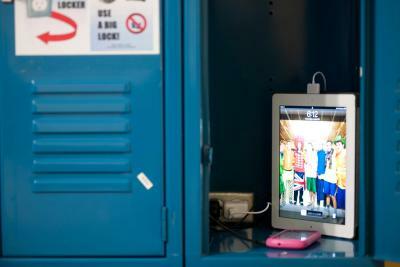 The lockers in the room were useful and meant valuables could be kept safe. 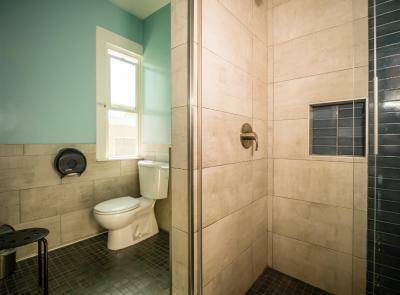 Good location right next to hollywood boulevard with lots of public transport options nearby. Breakfast included was simple but good, especially the fresh fruit. More desk and chair in the rm. Home away fr home. Just for location in general it is near Hollywood. It is near the attraction which is good. But I am not recommend for the people especially girl who traveling alone to stay in hollywood. I don't think this is very safe to stay here, I can smell cannabis near the area (not in the hotel) and many weird people around in hollywood acting mentally and physically really exciting. In the morning atmosphere is strange,take time to adapt it. But in the night will be better since the bars are open. Just be careful if you are there. Not a great area to be walking around at night. Beds were reasonably comfy. Also great having a bathroom in the dorm. Shared 1 Bathroom with 8 people in the same room. Not very private bed (no curtain to close the bed). Little space in the room. I think the rooms were not swept regularly as the floor seemed to be dusty. Also, the directions from the airport were quite helpful but the fact that the flyway leaves only from terminal 1 is not accurate. It leaves every quarter past the hour from Terminal 1 and then stops for less than a minute at each terminal. The service, bathrooms were cleaned everyday, great activities organised by the property. Especially loved the lounge where one could relax or work peacefully away from the hustle bustle outside.